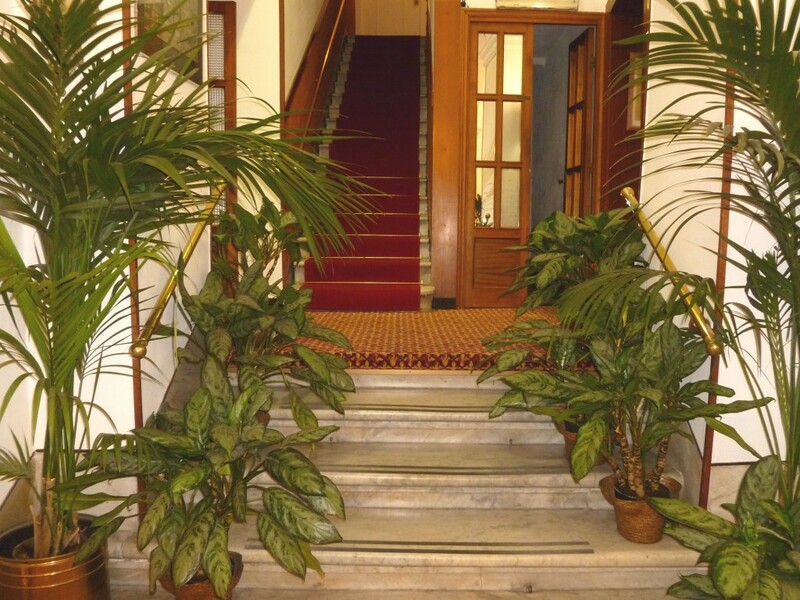 Our family-run hotel is the perfect choice for those who want to spend their stay surrounded by a quiet, cozy and comfortable atmosphere located in the very heart of the historic centre of Genoa. Dating back to the 1580, the ancient construction of “Vico delle Monachette” hosted a convent of the nuns “Teresiane Scalze”. Nowadays, the building still conserves the ancient church structure. The hotel is well located: just 100 meters from the main train station “Genova Principe”, the airport-terminal shuttle “Volabus” and the trade fair bus stop. Moreover, ferry and cruise ship terminals are located within walking distance. In the immediate proximity of the hotel, you will find beautiful and stunning sights such as the Royal Palace, the Prince’s Palace, the castle D’Albertis, the University of Via Balbi, as well as Via Garibaldi (Unesco’s world heritage site), that houses the superb Palazzi dei Rolli (Palazzo Rosso, Palazzo Bianco and Palazzo Tursi). In less than 10 minutes walk, you can easily reach the famous Old Port (Porto Antico) with its gorgeous aquarium and many other sightseeings including the children’s city (Città dei Bambini), Galata Museum of the Sea and the submarine “Nazario Sauro”, the panoramic lift “Bigo”, the Biosphere created by Renzo Piano, the congress area “Magazzini del Cotone” and much more! You can reach the “shopping area” and the famous Piazza De Ferrari in twenty minutes walk. There you can admire the Palazzo Ducale (always an important venue for exhibitions and cultural events), the Carlo Felice Opera Theatre and not far away, the magnificent San Vincenzo Cathedral and the whole historical centre, which is the largest in Europe. Genoa, with its narrow streets and wonderful cultural treasures, is waiting for you, and the Hotel Agnello D’Oro is the perfect starting point to live the city and explore its secrets.